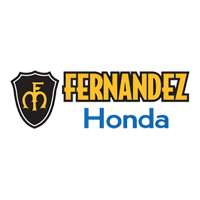 Take advantage of the special offers available at Fernandez Honda! Our dealership provides drivers with great ways to save. Whether you are visiting us from right here in San Antonio, or travelling from La Vernia or Floresville, TX – we can’t wait to assist you. Visit us to find amazing deals on auto purchases, services, and parts! If you are looking to get into a new or used Honda vehicle, you have come to the right place! Fernandez Honda provides drivers with great auto purchase savings opportunities. You can select the Honda that you want from the New Specials page. We have a number of brand new vehicles listed at an amazing price. Would you prefer to purchase a vehicle that is used? No need to worry. Our dealership has a section for Used Specials as well. This way, you can obtain a used vehicle for less – without having to question its quality or condition. If you are looking to stick to a lower budget, we also have an option for you. Check out our vehicles under $10,000, and discover a collection of great vehicles for a low price. We want to help you get into a vehicle that you can trust, without having to break the bank. Is it time to make a service appointment for your vehicle? Save money by scheduling your service at Fernandez Honda! We offer deals on select auto maintenance and repair jobs. Therefore, you can receive exceptional service for less when you bring your vehicle to us. Take a look at our service specials to see what savings opportunities are currently available. Does your vehicle’s repair service require you to purchase new parts? Find genuine parts and accessories specials at our San Antonio dealership! We provide amazing deals so that you can find what your vehicle needs for less. Save money by making your parts selections from Fernandez Honda, today.